The time has come. Classes have ended, seminar paper deadlines are past or quickly approaching and soon free-time will be discovered again. Since the submission of proposals we have waited, pushing ideas to the back of our minds, fighting the temptation to plan for English 002. Excitement aside, the last workshop for the New English 002 had some great takeaways. For those who missed it, Drown Unbound was there to capture the events. Linked to the ENG 002 administrative coursesite are various assignment examples that have been successfully used in the classroom. Additionally, Envision and Writing Arguments, texts suggested by Dr. Brooke Rollins, offer clear examples of how to utilize various argumentative structures. While they are certainly great for students to read, they are also helpful to instructors who want to clarify their own understanding. Dr. Rollins suggests determining which arguments you want students to write and then planning around those specific assignments. For instance, if you know you want to begin with a rhetorical argument you can choose particular readings that lend to practice in class and then one that allows for a paper length analysis at the end of the unit. Students should be tasked with at least 5 different types of argument, including the final multimodal project, but they can come in any order. 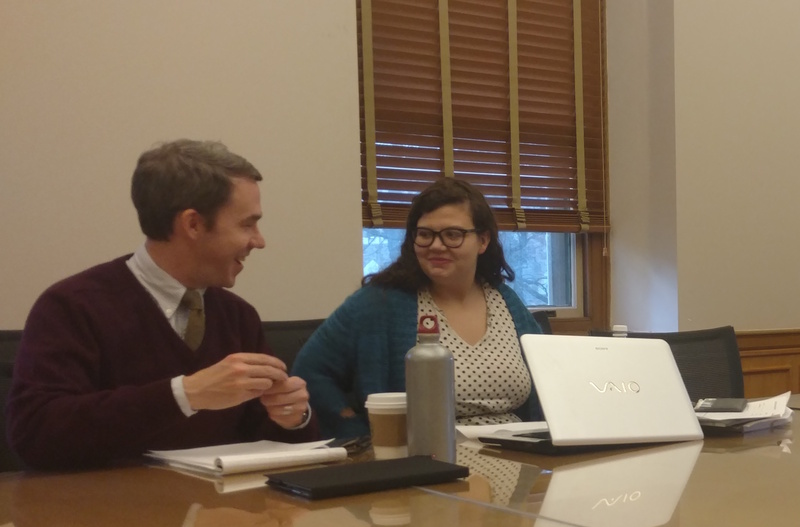 During the workshop Dr. Rollins presented the Toulmin System, which fits the logic and structure of all arguments, as a possible tool of invention for students. She even pointed out that business and engineering students particularly like the system. She recommends using it early in the semester, perhaps just after the first paper has been assigned. A simple google search for The Toulmin Method generates an abundance of graphic organizers and the diagram pictured here can be found on the New ENG 002 Coursesite. The method, based on the court room, is a strategy that forces writers to look at the structure of logic, and challenge their own value based assumptions. Basically, the Toulmin Method requires students to think beyond claim and reason as a way of strengthening their argument. The warrant requires addressing the values, beliefs or principles that are necessary for the argument to hold. For example, if the claim is that universal healthcare is a human right, the student would be working with the warrant that human rights must be upheld. Without this basic assumption the rest of the argument falls apart. So, in order to make some claims it is essential to back the warrant as well as the claim. Furthermore, the reasoning itself needs grounds for acceptance. In the case of both reason and grounds there are an abundance of possible objections to be aware of and anticipate. Another useful take away from the workshop was the importance of talking about audience, even if the audience for a particular paper is the instructor. Discussing audience early in the semester is important because it will help students when they begin the multimodal assignment and audience awareness is absolutely essential. 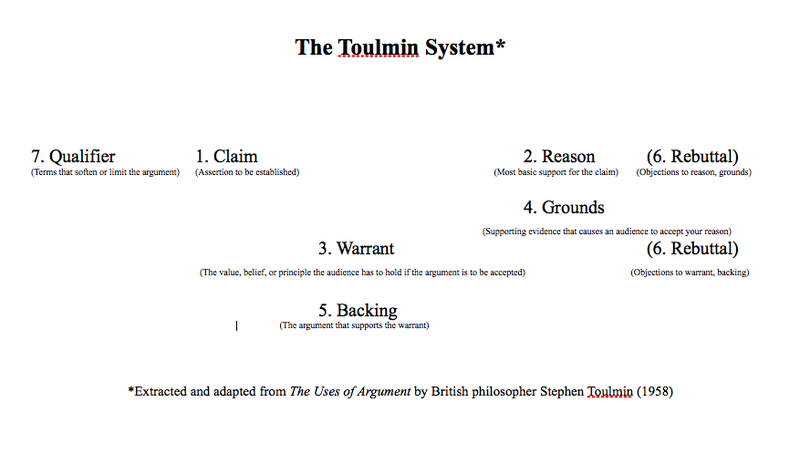 Additionally, the Toulmin system is predicated on the idea that a third party (the audience) will be tasked with deciding, at the end, whether they agree or disagree. Knowing your audience allows for writers to anticipate possible counterclaims and address them early. The last major topic of the workshop was a more in depth focus on the rhetorical situation particularly and emphasis on ethos, logos, pathos, and kairos. While the first three are generally well known, the fourth, focused on timeliness and urgency helps students to think about when an argument is made and how the moment helps to dictate the impact. When you do get around to sitting down and planning remember that the administrative coursesite page contains resources that cover everything from why we do what we do to examples from previous courses. 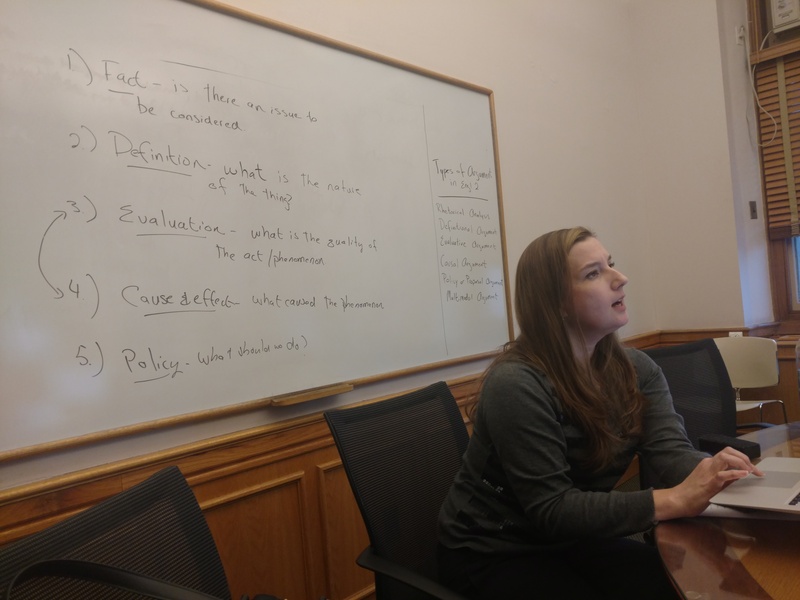 Likewise, check out Laura’s post from an earlier workshop for more ways to get creative and effectively plan this English 002. And, if you have any resources you can’t wait to use in the classroom make sure to share them in the posted forums (or the comments below).